"Blue Baby" born at University of Maryland leaves with a bright future. Feren Taylor is an example of how expectant parents get the full scope of care throughout their pregnancies and after by a multidisciplinary team of experts at the University of Maryland Medical Center (UMMC). Her baby girl was diagnosed in utero with congenital heart disease (CHD), so both mom and daughter received highly specialized pre-natal care and were looked after by a waiting team of newborn and children’s heart experts at Faith’s delivery. Fetal heart ultrasounds were performed at the Center for Advanced Fetal Care using the most advanced techniques and equipment to help diagnose baby Faith with several heart defects before she was born, including transposition of the great arteries; this means that instead of her aorta coming from the left ventricle of her heart and the pulmonary artery coming from the right ventricle, as is the case with a normal heart, Faith’s great arteries and lower chambers of the heart were incorrectly connected. There was also a hole between the lower chambers of the heart (known as ventricular septal defect), the upper chambers of her heart (known as atrial septal defect) and a case of pulmonary atresia, where a blocked valve made it impossible for blood to get from the heart to the lungs. Biweekly appointments with the Fetal Heart Program at the Center for Advanced Fetal Care allowed them to monitor baby Faith's body and brain growth and fetal well-being. Doctors within the Fetal Heart Program were watching closely to determine the right time for baby Faith to be born when she would be at the least risk for additional complications. The Center for Advanced Fetal Care organized the other components of mother Feren's delivery team, including the pediatric cardiologist, surgeon and NICU physicians to make sure all hands were on deck when it was time for the birth. Feren was terrified for her child when she considered the surgical procedures required to treat a disease that she had never heard of until now. To help the expectant mother understand her baby’s condition and recommended treatment, Carissa Baker-Smith, MD, MPH, pediatric cardiologist within the Children’s Heart Program, drew an illustration of Faith’s heart. These drawings showed little Faith’s unique physiology in a way that made it easy to understand. The open communication between Dr. Baker-Smith and Feren encouraged the latter to find online articles about CHD and look to other UMMC resources for more information. Feren gradually felt more in control, and her worries began to dissipate once she educated herself about raising a child with CHD. All of the pre-natal care at the Center for Advanced Fetal Care and meetings with the Children’s Heart team paid off when Faith was ready to be born. She arrived with the pale blue skin tone of babies who aren’t getting enough oxygenated blood to their lungs, as anticipated by the doctors who had been caring for her. While mom recovered, baby Faith was quickly transported to the Neonatal Intensive Care Unit (NICU) and given medication to keep open the small channel that allows babies to transport blood to their lungs in utero, yet closes once born (known as the patent ductus arteriosus) until she could have a shunt placed to allow more stable blood flow. Thanks to the coordinated efforts of the Center for Advanced Fetal Care, the Neonatal Intensive Care Unit (NICU) and the Children’s Heart Program, Faith was born to a team of experts eagerly awaiting her arrival and ready with a plan to help her breathe properly within moments of birth. 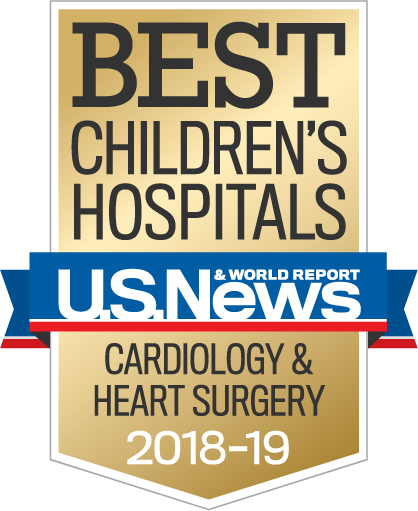 Once Faith’s breathing was stable, Sunjay Kaushal, MD, PhD, director, pediatric heart surgery at UMMC, made plans to surgically place the shunt to keep her blood flowing properly. He performed a second surgery six months later to close Faith’s two septal defects and allow blood to flow more freely through the aorta. In another complex surgical procedure, he also corrected her transposition anatomy and performed the Rastelli procedure, which allows a conduit to move blood from the left ventricle to the lungs. With an early diagnosis and proper treatment from multidisciplinary teams of experts, Faith has grown and developed well; she can now spell her name, count and repeat the alphabet. She loves dancing and has the energy of any other three-year-old. “You would never know she’s been through so much,” said the grateful mother. According to Dr. Baker-Smith, who has continued to look after Faith, “her prognosis is very good,” and she will only require one additional surgery to replace her child-size conduit with an adult-sized one as her heart grows with her body. Feren has taken her knowledge and passion for helping children with CHD and used it to start a local Baltimore nonprofit. A Heart’s Journey aims to connect and support families caring for a child with CHD while spreading awareness of the condition. With increased awareness of fetal heart problems, and the proper experts in place, those born with heart defects now stand an excellent chance of growing up normal and happy like Faith.